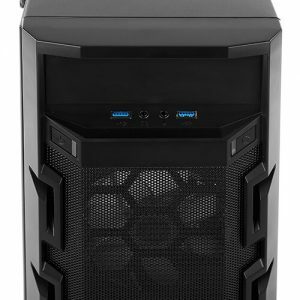 Antec has launched a new mid-tower entry-level gaming case, the Antec GX202. The GX202 sports a rugged exterior design with two 120mm fans sitting behind mesh along with a plexi made side window. The chassis supports ATX, Micro-ATX and ITX size motherboards along with plenty of storage and cooling options available. 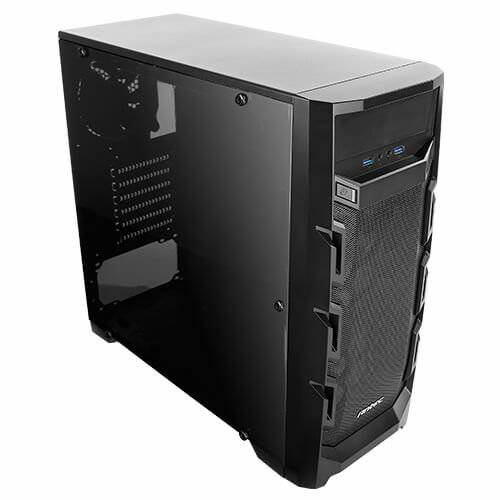 The big take away on the case is going to be its affordable price of $44.99 at Newegg. 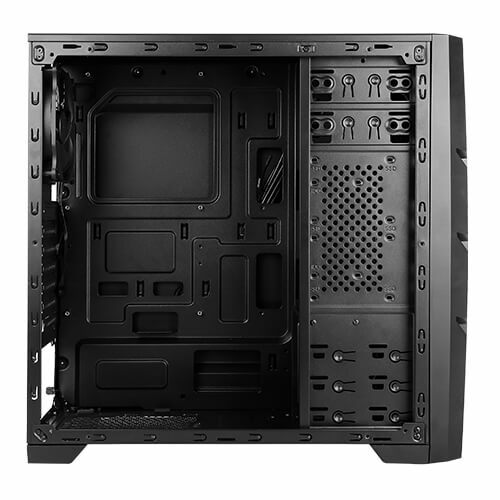 The front panel of the all-black chassis uses a see-through mesh for good airflow to the 120mm fans mounted behind it. 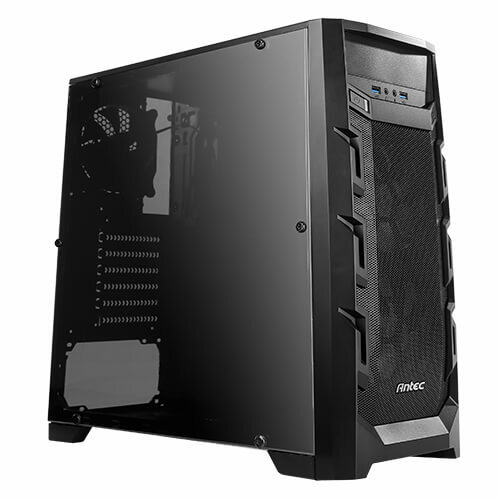 The case is also designed with a detachable front panel for easy access and better thermal performance according to Antec. Above the two fans are two USB 3.0 ports along with power and reset buttons and MIC/HD Audio jacks. There is also a 5.25″ drive bay above. The side left side panel is transparent and as expected in this price bracket, will be made from plastic instead of glass to keep costs down while still being able to show off the internals. The right side is made of steel and has a convex shape to it for better cable management. It measures in at 17.7″ x 8.1″ x 17.1″, a normal size for mid-tower. Internally the case is made from predominantly SPCC (commercial quality steel) and plastic and offers users a slew of storage options, wire management capabilities as well as room for larger coolers/radiators and GPUs. 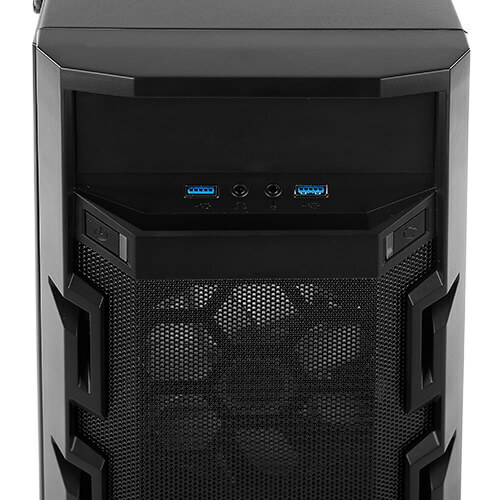 The interior of the case has space for one 5.25″ ODD, four 2.5″ SSD drive cages, and three 2.5/3.5″ HDD cages. The GX202 is able to handle a video card up to 375mm (~14.7″), CPU coolers with a maximum height of 160mm and power supplies with a maximum length of 200mm. 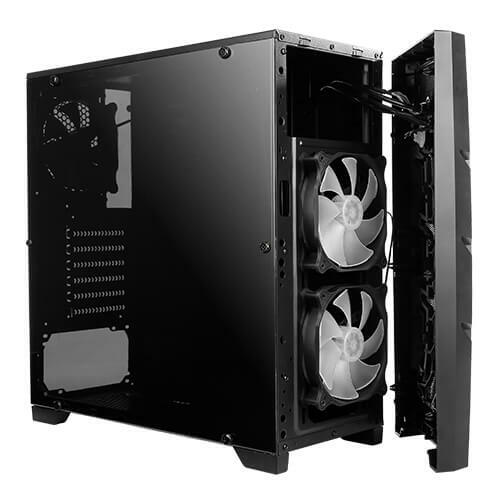 The case includes three preinstalled fans – two 120mm white LED fans in the front and one 120mm black fan in the rear. There is a dust filter in the case, though curiously it is at the bottom and for the PSU only it appears. If water cooling is an option the GX202 can do that as well. In front, it is able to hold up to 2x120mm radiator while in back up to a 1x120mm. The Antec GX202 is already available. I'd be a little worried about the clear plastic side panel scuffing/cracking/scratching if I ever had to move it, but I guess you have to compromise if you want a transparent side panel for <$50. Especially since it has all three fan ports populated, whenever I look it seems as most cases in that range have only one, at most two. Decent looking case for the price. 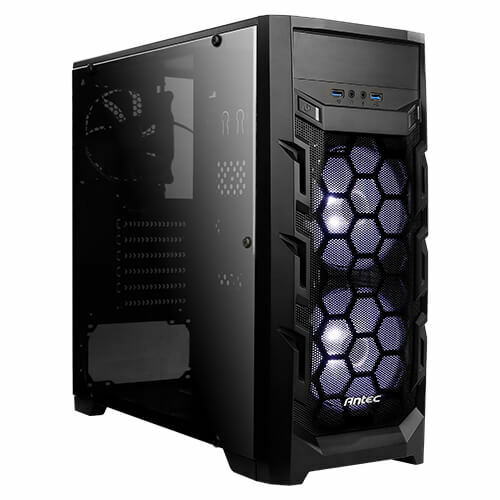 An Antec case with three fans and some cable management effort at that price is nice, I'm not a fan of the bulging side panel look. I'd rather have a slightly wider case with a flat panel, but that's a personal issue and no reflection on Antec. LOL I'm going to have to take a bus up to Fry's soon and look at some new cases. They have a shelf about 50' long showing a bunch of cases. I like being able to actually touch them and see them in person. As far as the side panel scuffing it's really no different than the $250 Phanteks Enthoo Primo. For me the best thing about the cases with tempered glass is the ability to clean them without worrying about what cleaners will damage the plastic/acrylic. I agree though, the price is pretty phenomenal for this case. If the quality is as good as other Antec's it's really a home run. The question I have is the bottom intake. Joe mentioned that it's surprising there's a bottom filter without being an intake. Is this the PSU intake filter or is there an area other than the PSU intake that is filtered? Yes, it is for the PSU (I meant to say that in the article, actually). Id rather that not go filtered and have front intake filtered. Eh, I like everything filtered. I live in the factory that makes dust.